Click on the images below to see larger versions. I apologize for the poor quality of these images. I hope to be able to re-scan them at higher DPI for easier readability in the future. 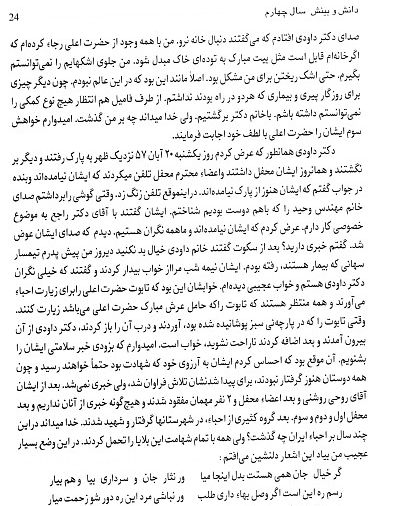 The citation for the above text is as follows: Danesh va Binesh [Knowledge and Insight] Vol. 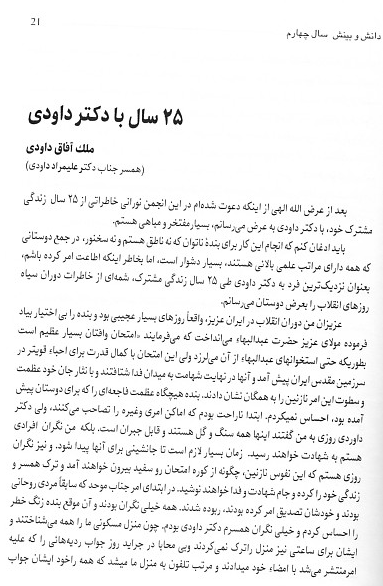 IV: Dowreyeh Dr. Ali Murad Davudi [The Period of Dr. Ali Murad Davudi]. 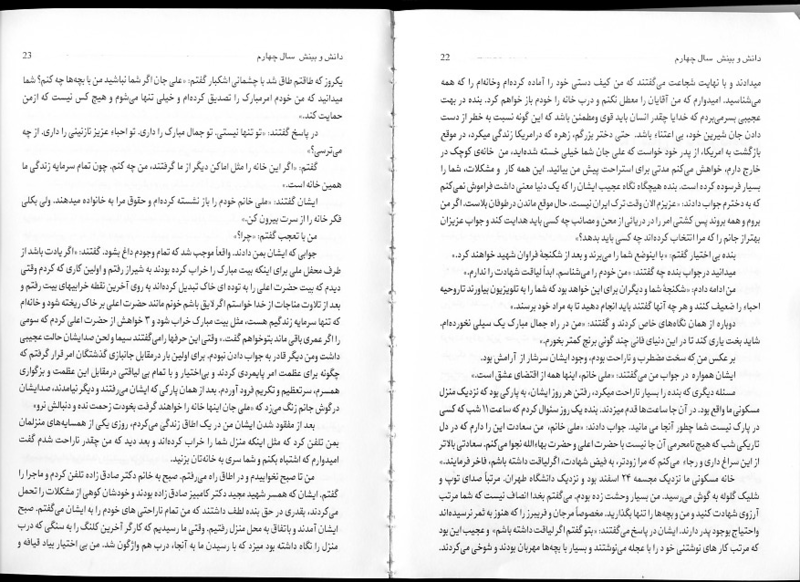 London: Society for Persian Arts and Letters, 2003, pp. 21–32.